Norfolk Landscape Artist Nial Adams works from his private Studio in the rural village of Hevingham, approximately 10 miles North West of Norwich. After outgrowing a home studio Nial decided to search for the perfect location to expand. In early 2016 he was fortunate to find space at Pound Farm in his home village. The Studio is situated on the upper floor of a 17th Century barn, complete with old oak beams and fantastic views West across the farmland. This provides Nial with space to think, prepare materials and paint without interruption, except for the occasional visit by Pudding, the farm cat! Guests are welcome (by appointment) to visit the Studio to view Nial’s portfolio of original oil paintings and artworks, or discuss ideas for commissioning an artwork. If you would like arrange a visit please contact us. Nial also offers Private Art Tuition and Painting Classes. Have you ever wanted to try your hand at painting? Perhaps you’ve already dabbled in other painting methods and want to try oil painting? 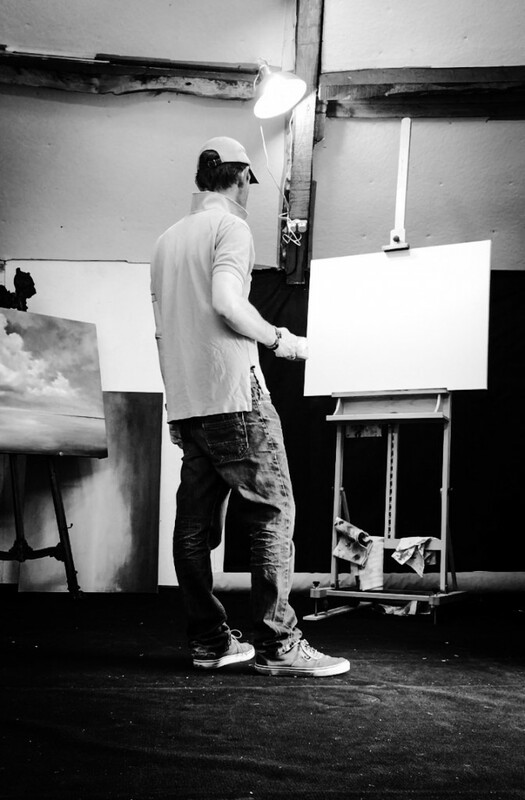 Nial can provide private tuition, from just a couple of hours to regular painting sessions. You’ll learn the basics of landscape painting in oils, following the well-worn methods of traditional oil painting, as Nial learned from his father Fred Adams from the age of ten. Painting lessons can be individual, couples or small groups. All materials are supplied and, of course, you can keep your artworks. Please note; the studio is situated in a listed building and access for those with disabilities may be difficult. Alternative arrangements can be made. 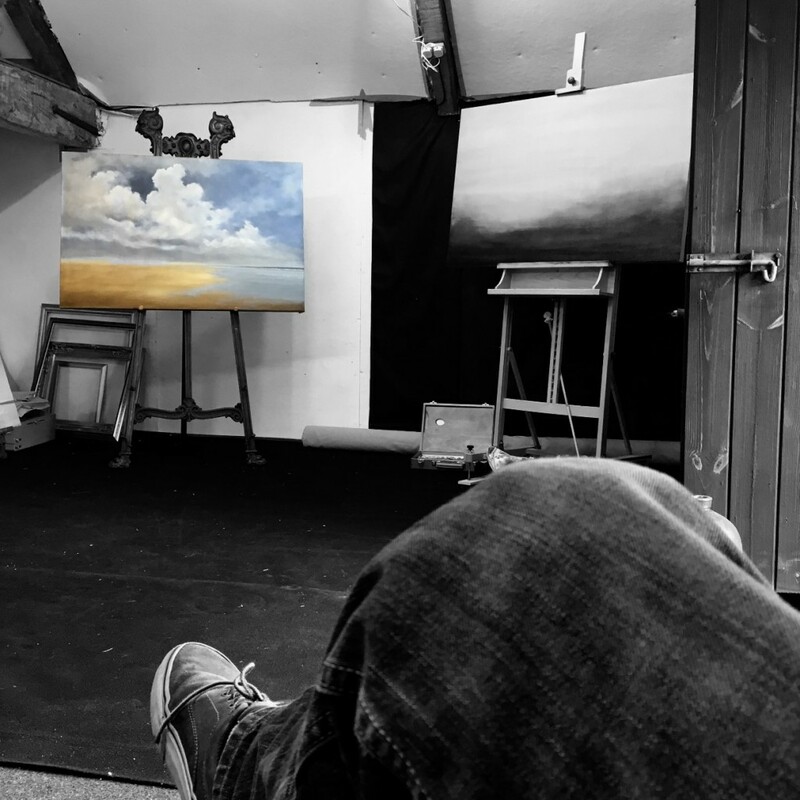 If you’re interested in improving your painting style and technique, or you simply want to take your very first steps in oil painting, contact Big Norfolk Skies direct.